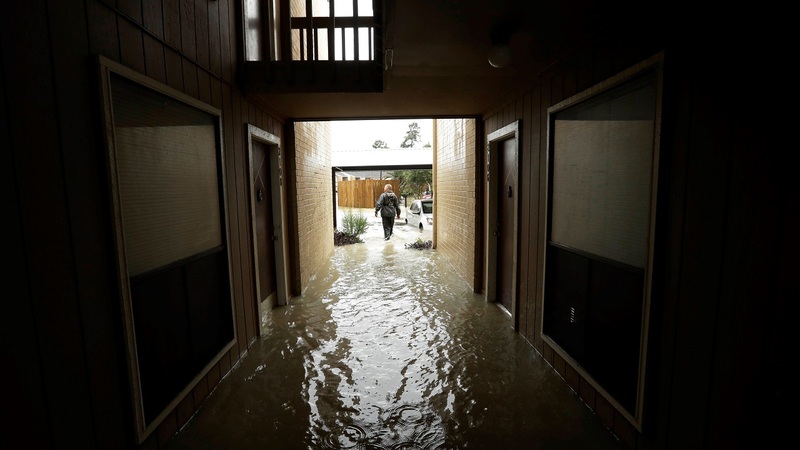 Apartments flooded in Kingwood in this photo taken Sept. 3, 2017. So you have damage to your home and you need to know how to navigate insurance issues and choose a contractor without getting ripped off? Here are just some of the questions answered with tips provided by the BBB and Texas Insurance Association. If you have other questions, watch the full report above. What's the first step in getting this all squared away? A: If you have insurance, contact that company. If not, see if you're eligible for FEMA assistance. A: Be wary of door-to-door salesmen who are high-pressure. Make sure you research your contractor as much as you can. Get everything in writing. Everything. Never pay in full or cash up front. You can search BBB reports online or call BBB Houston for a report on a company. What should I do with my insurance? A: Take as many photos as you can. If you are waiting on your insurance agent or adjuster, leave a part of your wall intact to show where water got up to. Check out any business with the BBB. If a business approaches you offering to repair your home, ask for their contact information and allow yourself time to fully research the business, check for references, and review their BBB report at BBBHouston.org to determine if there are any issues of concern. You should do the same for any auto repair company you select as well. Contact your insurance company as soon as possible. Inform your policy holder of the damage and determine what they will and will not cover and any requirements for your claim. Be sure to document the damage to your property or your car and take photos if possible. If you are staying at a temporary location, keep any receipts for lodging or food as some of these costs may be covered by your insurance, depending on what your policy allows. Avoid high pressure sales pitches. Although you may be anxious to get things back to normal, avoid letting your emotions get the better of you. Be pro-active in selecting a company and not re-active to sales solicitations. Make temporary repairs if necessary. For major repairs, take time to shop around and get 3-4 estimates based on the same specifications and materials. Be wary of door-to-door solicitors. Especially be cautious of those who claim to have left-over materials from a job "down the street" or who do not have a permanent place of business. Also, be leery if a worker shows up on your doorstep to announce that your home is unsafe. If you are concerned about possible structural damage in your home, have an engineer, architect or building official inspect it. Require a written contract agreement with anyone you hire. It should specify the work to be done, the materials to be used and the price breakdown. Any promises made orally should be written into the contract, including warranties on materials or labor. Be sure their name, address, and phone number along with a start and end date for the work is included in contract. Read and understand the contract in its entirety; don't sign a blank contract and a copy of the signed contract is to be given to you at time of signature. Always remember, in Texas, you have three days to cancel any contract for a sale made at your home. Verify if the business is insured. Once you have found a contractor, request proof of a current insurance certificate covering workman's compensation, property damage and personal liability. Never pay in full for all repairs in advance, and do not pay cash! While many companies may ask for a deposit, BBB suggests that no more one-third of the job be paid up front. Following the devastating Hurricane Harvey, many are dealing with extensive flood damage. Mold in homes and housing units may be prevalent, and many people may be dealing with the after effects of mold damage. Our humid climate is also very susceptible to mold in general, and according to the Environment Protection Agency (EPA), molds are a natural part of the environment. When excessive moisture or water accumulates indoors, excessive mold growth will often occur, particularly if the moisture problem remains undiscovered or unaddressed. How can you tell if you have mold in your home? The EPA states that if your home smells moldy, but you cannot see the source, if water stains are present, or if you know there has been water damage, there could be mold present in your home. Mold may be hidden in places such as the backside of drywall, wallpaper or paneling, the top side of ceiling tiles, and the underside of carpets and pads, etc. Other possible locations of hidden mold include areas inside walls around pipes (with leaking or condensing pipes), the surface of walls behind furniture (where condensation forms), inside ductwork, and in roof materials above ceiling tiles (due to roof leaks or insufficient insulation). Investigating hidden mold problems may be difficult and will require caution when the investigation involves disturbing potential sites of mold growth. When contemplating the cleanup of mold, you need to verify the extent of the problem and likely will need to contact an expert. Work with your insurance company. An insurance agent may be able to recommend a reliable and reputable remediation company, and you should contact them first to determine what your insurance policy covers and the process for filing a claim. Check the company's history with the Better Business Bureau. You can review the company's complaint history and details to determine if they have a track record of responding to and resolving BBB complaints. Verify the company's license. In Texas, mold remediation contractors must hold an active license with the Texas Department of State Health Services. You may view the status at this website, https://www.dshs.state.tx.us/, or call 1-888-963-7111. The license information also should tell you how long the contractor has been licensed to perform work. Make sure the business has extensive experience in cleaning up mold. Ask for references from the business and contact these references for more information. Also, ask family and friends if they have worked with a mold remediation expert in the past and had a favorable experience. Obtain at least three bids. Don't simply hire the first business that contacts you or one that offers the lowest bid; evaluate the services and offerings of at least three businesses and then make your decision. Need to report fraud or a scam? Call the Texas Department of Insurance at 1-800-252-3439.